You asked, and Ernie Ball listened! Finally, an expression pedal that truly allows you to control your tonal voice with both gain and volume control knobs. 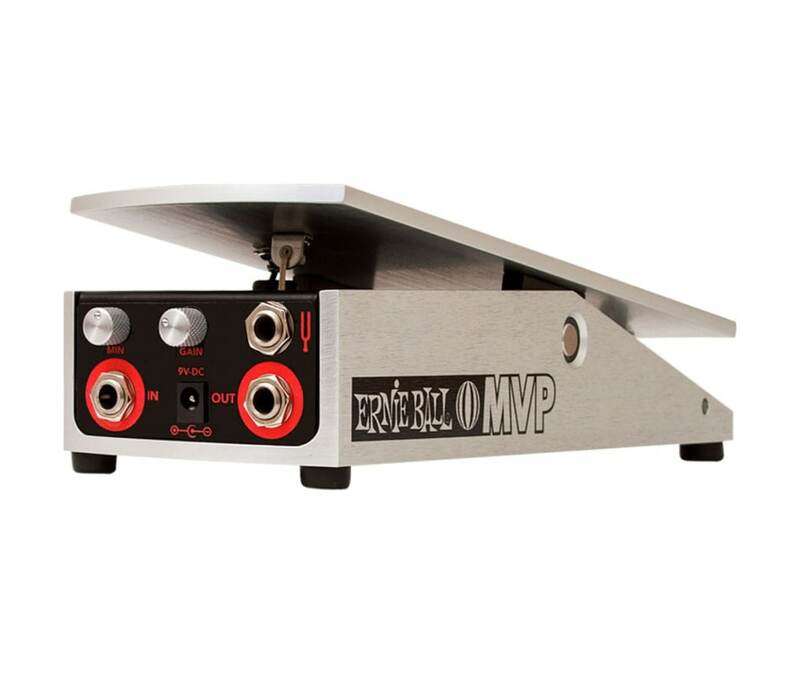 The Ernie Ball MVP Pedal gives you complete freedom to set and control your desired volume and gain levels simultaneously. This pedal allows you to set your minimum (heel position) at an ideal volume level for the verse of a song and set your max volume (toe position) and gain levels at your optimal solo level! Secret Weapon - gain boost pushes you past 11!